Responsible for coordinating and booking import and export international shipments. ROROs, Large Vehicles, Containers, Military Equipment, etc. Prepare import & export documents as needed. Handle international operational activities including customer communication and track/trace. Effectively manage all customer queries/issues, quickly and efficiently. Prepare ocean documents; MBL, HBL, shipper export declaration, certificate of origins, and track freight. Maintain all internal and customer viewed systems with step by step milestone updates. Assist with obtaining and negotiating overseas quotes from partnering offices and agents. Prepare billing and finalizing customer invoices. Expedite NVOCC shipments when necessary. 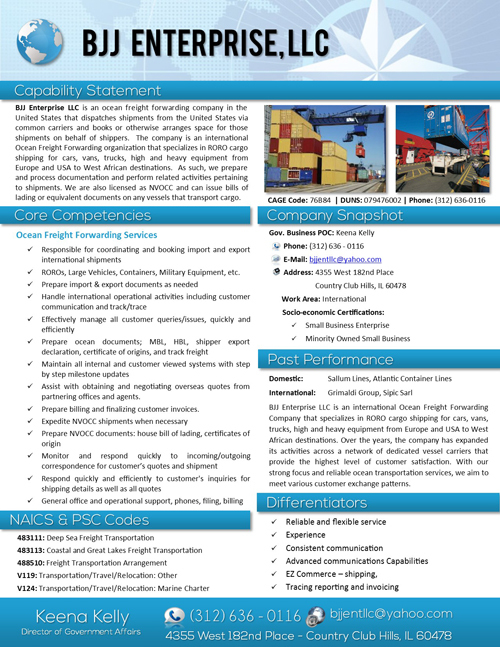 Prepare NVOCC documents: house bill of lading, certificates of origin. Monitor and respond quickly to incoming/outgoing correspondence for customer’s quotes and shipment. Respond quickly and efficiently to customer’s inquiries for shipping details as well as all quotes. General office and operational support, phones, filing, billing. BJJ Enterprise LLC is an international Ocean Freight Forwarding Company that specializes in RORO cargo shipping for cars, vans, trucks, high and heavy equipment from Europe and USA to West African destinations. Over the years, the company has expanded its activities across a network of dedicated vessel carriers that provide the highest level of customer satisfaction. 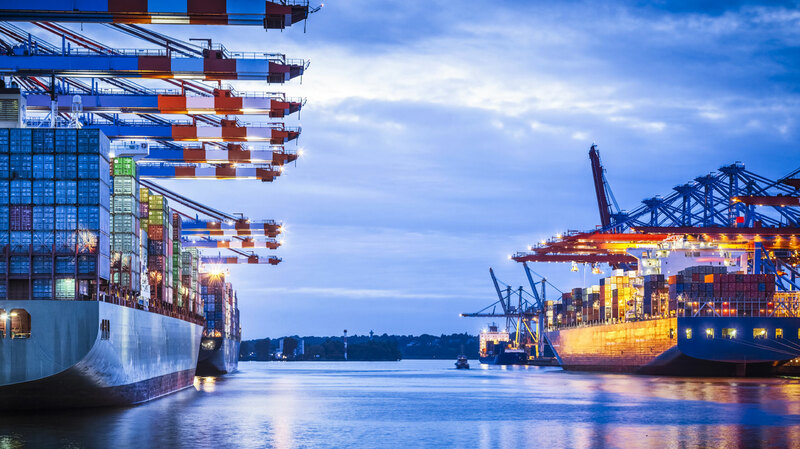 With our strong focus and reliable ocean transportation services, we aim to meet various customer exchange patterns.